The other day on Annakata, she posted pictures of some beautiful lockets. Some she made, some were made by others. But as soon as I saw them I knew that I would be making one for myself. So I ordered some lockets from BrassGoldBeads, then picked up some chain at JoAnn (don't you just love the peacock-colored one?). The embroideries are just free-stitched, and glued in place with a bit of E6000 adhesive, and instead of using jump rings, I attached the lockets with embroidery floss. It's softer, and adds a bit of color. This larger one I made for my sister. She's big on big pendants. And leaves and trees. These are seriously easy to make, and they are a really fun way to wear your love of embroidery. 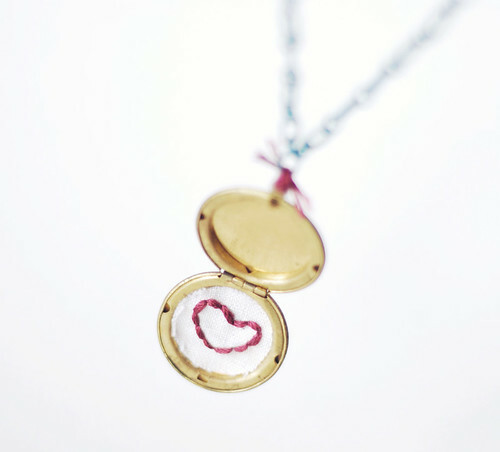 I still have three empty lockets left, and I can't wait to try more teeny designs! This is hands down the cutest embroidery idea I've ever seen! Brilliant! I believe a new trend has just been started. Love it. 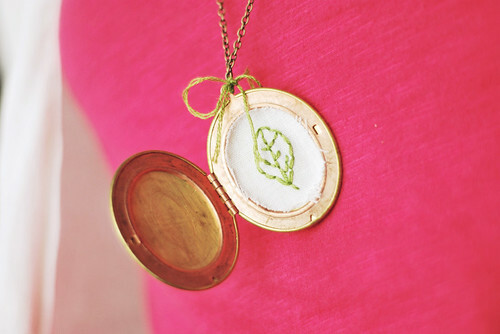 I have a petit point embroidery locket that I wear, tied to a bit of ribbon. What a great idea!! I feel a new project coming up! These are so adorable. I think I will try my hand at making one, or five! 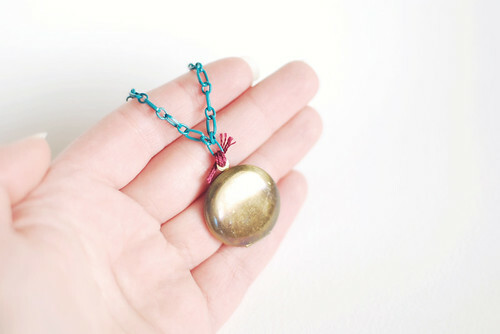 I love lockets. I seriously want to start collecting them. This is such a great idea! If you ever start selling these babies, I'll be first in line! What a great idea!!!!! I went to Michael's and they had lockets on sale. Do you design the teeny teeny designs for the embroidery? I look forward to hearing back from you. Thank so much. Keep warm. 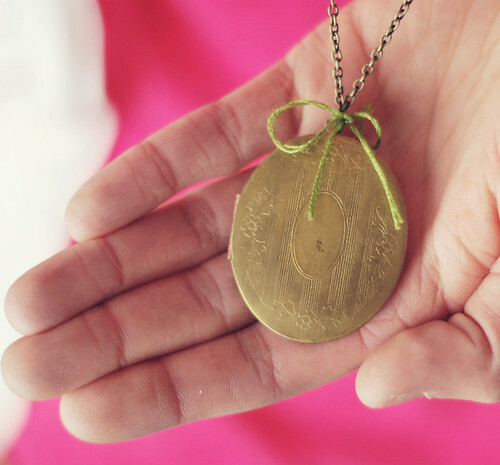 Karen: I do make teeny patterns (there are some in my shop), but they would probably be too large for a locket. I suppose it depends on the locket. The beginnings of embroidery are worldwide, including Ancient Egypt, China, India and England. Each country now has its own unique style of embroidery, which manages to incorporate the culture and imagery from its own history and tradition. In many cases, embroidered clothing was considered to be a symbol of wealth and prestige. WHAT a fun idea! Thanks for sharing...I bet these would be so lovely in vintage lockets...! Made one for my sister and one for my grandmother with cross stitched hearts inside. They both LOVED it. Thanks for sharing the cute idea.